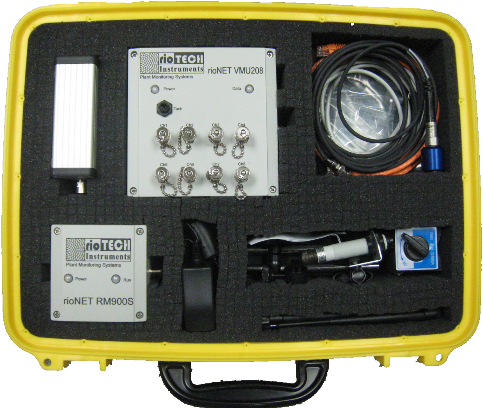 NCA-S900 - Riotech's Network Communications Adaptor with a 900MHz Server Radio. Converts Riotech's network protocol to Ethernet allowing worldwide access of data. Yellow Storage Case - Water resistant case perfect for storing everything you need including sensors in one location. Tach, Extra Sensors, Sensor Cables, and Sensor Magnets sold separately.